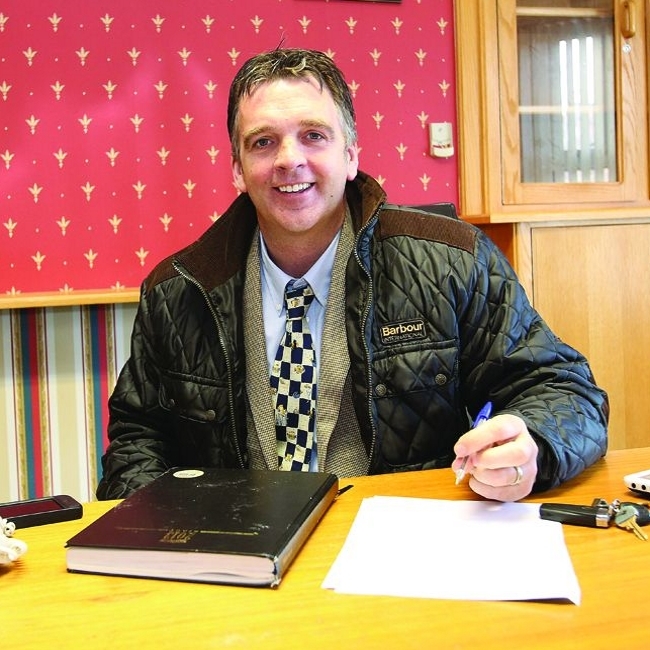 Joe Naughton Auctioneers are an established Property Sales and Letting agency serving the midlands and beyond and centrally located in Athlone. We deal with residential, land and commercial properties sales and leases. 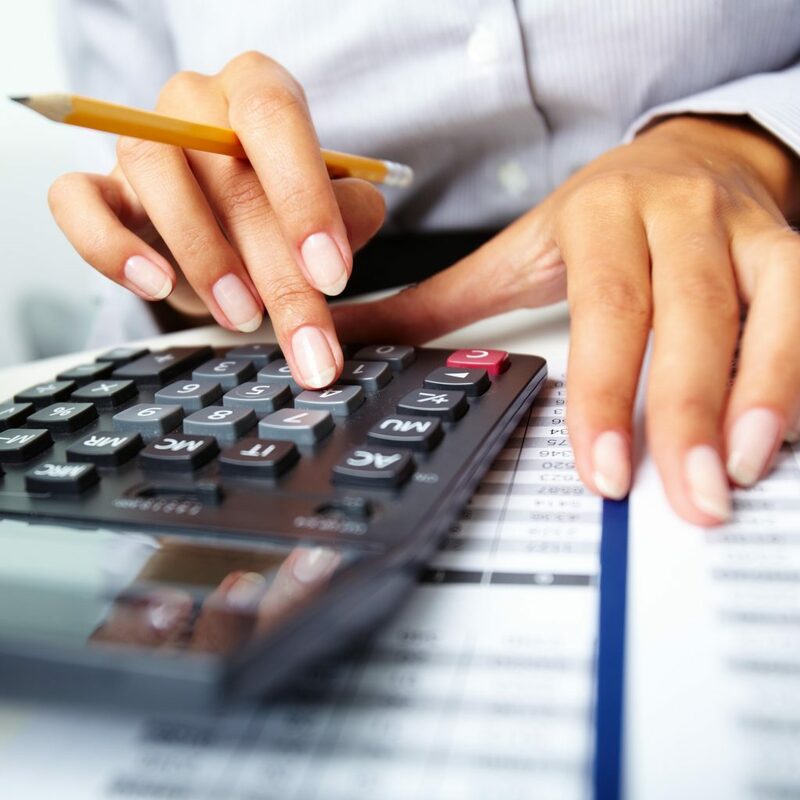 We also offer a range of services including valuations. We are proud of consistently exceeding our customer’s expectations over the years and our reputation for honesty, efficiency, professionalism and outstanding customer service is well known and respected. If you are considering selling, buying or renting, we would be delighted to hear from you. Joe, a Roscommon native, is a graduate of Waterford I.T. With over 20 years Real Estate experience spanning from New York to Dublin, Joe has been working in the property sector in Athlone for the last 14 years. Joe is married with one son and has a keen interest in sports. Miriam is a native of Athlone and graduated from G.M.I.T. with a National Diploma in Business Studies (Property Valuation & Estate Agency) and D.I.T. with a BCS (Hons) in Property Studies. 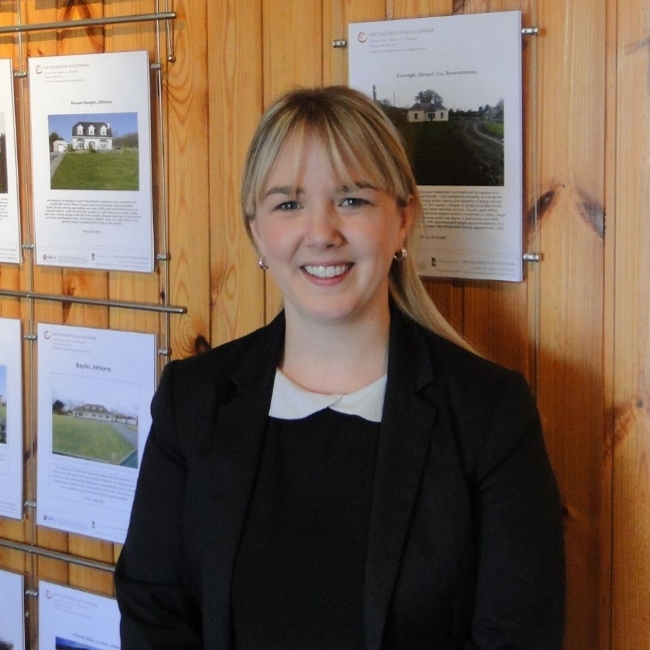 Miriam joined Joe Naughton Auctioneers Ltd in May 2014. She is married with one boy. Karyn joined the company in January 2017; Prior to this Karyn has worked in Auctioneering since 2006. Karyn is currently doing her Estate Agent level 3, completed Office Administration, European Computer Driving Licence, Small Business Accounts, Pitman Qualifications (First Class) in Word Processing Techniques Office administration. Karyn is a native of Athlone,has a gentleman’s family and is a well-known member of the local community. 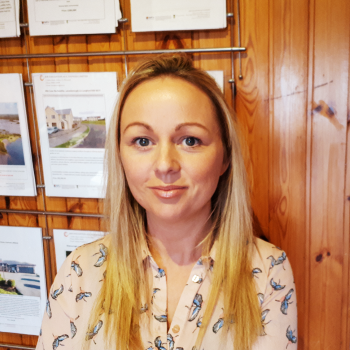 Siobhan is an experienced member of our team having been with us since 2014. She is head of the accounts department looking after the financial side of our business. Joe kept me advised through the sale of my house from start to finish. In a very challenging market he ensured the best price for my house while getting a speedy sale and closure. We recently purchased our house through Joe Naughton Auctioneers and cannot recommend them highly enough. Joe, Karyn and Miriam were an absolute pleasure to deal with and certainly understand the meaning of good customer service. They were highly efficient throughout the sales process, which was quick and effortless. More than that, though, we had been searching for a home for over a year and got to know Joe well through numerous viewings. He was always friendly and helpful and arranged viewings at a time that was convenient to us, which due to travel/work commitments was often a Saturday. This was never an issue for Joe and certainly something which sets him apart. His drive for customer satisfaction and ability to get to know people well meant he was very quickly able to match us to our perfect home once it came on the market. We were extremely happy to have purchased our house through Joe Naughton Auctioneers and would certainly recommend them. I would like to say a huge thank you to Joe Naughton Auctioneers for helping my family and I find a house to rent at a time when we needed it most. We had been searching for a house for almost a year because our landlord was threatening to evict us if we didn't move and Joe Naughton was the only one who gave us a helping hand. It was a pleasure to deal with Joe Naughton auctioneers. They were efficient and diligent in all aspects of our house hunting process and were instrumental in helping us to find the type of property that we were looking for. The company were very knowledgeable and addressed all our enquiries regarding the property and the neighbourhood. Their overall attentiveness and personal touch was impressive and we would not hesitate to recommend Joe Naughton Auctioneers. For individual property inquiries please use the form at the bottom of each single property page or contact us using the contact form or using our details below.